Every year, the F&M soccer team comes together for one day to think exclusively about their future career pathways. It is an exciting day where the F&M soccer staff connects the team with respected business leaders whom impart their wisdom and expertise. This year our guest list includes John Wagner, Ryan McGonigle, Scott Malfitano, and Adam Tenenbaum. The schedule includes a mixture of lectures, interviews and interactive group sessions all geared towards getting our players further, faster in the job market. John C. Wagner is the President of Construction Risk Solutions (CRS) a high-end agency and management consulting company that focuses exclusively on the risks associated with construction and real estate companies. Prior to starting CRS, John was Executive Vice President of Willis of Maryland, where he managed the construction practice for the Mid-Atlantic region. During that time, the team grew from a start-up group to one of the largest construction risk management teams in the country, with a dominant position in the area of surety. 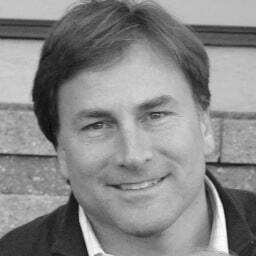 John acquired his unique knowledge of the construction industry through his work with several large construction companies. John is a national speaker on the subjects of Surety and Risk Management and previously served as an adjunct professor at his alma mater, Millersville University. He holds a Masters Degree from Indiana University of Pennsylvania. John’s personal interests include spending time with his wife and three daughters, sports, and involvement in several Christian organizations, including Young Life and Messiah College. 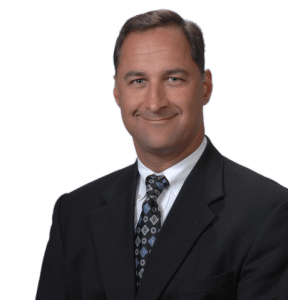 Scott Malfitano is Vice President of Corporation Service Company, which is the nation’s largest compliance, document retrieval, and corporate service companies. He has been responsible for working with the companies that CSC has acquired and helping acclimate them into the CSC business and service culture. He has recently been charged with the responsibility to build CSC’s Global Headquarters and campus in Wilmington, Delaware. Some of the roles he has played include launching CSC’s Business License and permit compliance business, managing the company’s international division, helping 3,600 County Clerk and Recorder offices become paperless in their recording processes, and more. Malfitano serves on the executive committee and as a member of the board of the Delaware State Chamber of Commerce. He is the Chairman of the Pete du Pont Freedom Award Foundation. He volunteers for several community-based programs in Delaware and earned a B.A. in International Relations and a minor in Political Science from St. Joseph’s University, Philadelphia, PA. in 1984. Ryan McGonigle is the Director of Recruiting for CRS. Ryan is spearheading the CRS Recruiting department focused on the construction-specific sourcing, selection and placement of Executive, Risk, Safety, Claims and Human Resource Managers. He works closely with clients and the CRS team to provide a customized placement service to deliver qualified candidates able to have a direct impact on our client’s bottom line. Ryan is also the Director of U.S. Operations for the CTC Ten Foundation. His duties consist of supervising the CTC Ten Intern Program at the Chris Campbell Memorial Field, coordinating the ongoing fundraising, maintenance and management of a $500K facility that provides ongoing educational programs to 3000 participants on a weekly basis, and working with their managing partner, Amandla EduFootball in the development of community enrichment programs, after school and during school holidays. 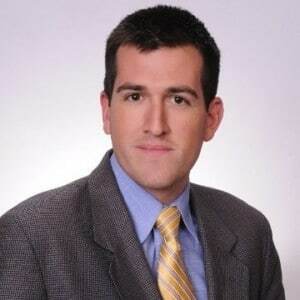 Adam Tenenbaum is the Director of Legal Professions Advising at Franklin & Marshall College. Before coming to F&M, Adam served as Vice President, Deputy General Counsel & Assistant Secretary for Berkeley Research Group (BRG), a global advisory and expert consulting firm, where he provided legal advice to BRG on complex matters ranging from contracts to human resource issues both in the US and internationally. Adam’a career has included public service in various legal positions with the State of Illinois as well as being the President and General Counsel of a gourmet food enterprise. Adam received his B.A. in English Literature from Northwestern University, and his J.D. from the University of California, Berkeley School of Law. What Will Be Your F&M Story? Building an acumen that will secure your future now. From major declaration to varsity sports involvement, and professional connections to internship experience, the acumen you build beginning in your first year can affect whether and how you land a job or secure admission to a professional or graduate school program before graduation. This session for first year students will cover what you can do now to secure your future. What do you wanna do? Deciding on Majors and a career path. Sophomore year is critical for F&M students. Ryan will discuss types of career paths and pre-requisites as well what qualifications/experience goes into an entry level/internship resume. Ryan will pull both from his experience as an F&M student athlete as well as what he sees in his current position as director or recruiting at CRS. How do you tell your story? The elevator speech and resumes. This is a two part focal point- telling your story verbally and in written form. Players submit resumes one week prior to the event. Scott will review each resume with each student before moving onto the “Dip Tank”. The Dip tank, based off the TV show Shark Tank, is an opportunity for students to give their one minute ‘elevator speech’. The purpose is to replicate a phone interview with a prospective employer. They will be hired or not’ based on their responses. This exercise will conclude with a critique from the junior class on how they did. How do you land the first job? Nailing the interview. Our seniors will undergo an intensive mock interview process with John Wagner. Real job postings that fit each senior have been created. Seniors will research the job as well as John Wagner and CRS in preparation for the interview. The interviewees will receive a full social media and resume audit as part of the interview. John’s goal is to know ‘everything’ about the candidates before interviews begin. After the interviews, each senior will receive feedback both by John and the rest of his class. While these are mock interviews, we do have a track record of players being hired due to them.